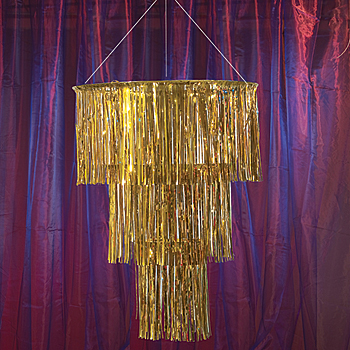 I am decorating a ballroom and want to use some mylar tinsel chandeliers, they are 3ft in diameter and three feet long. They are extremely light maybe 1 lb each. The hotel doesn't allow us to hang anything from the ceiling so I had the idea of using a very large helium balloon to float them in the air. 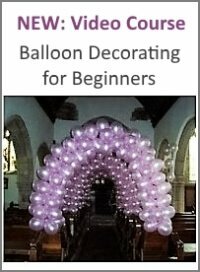 Either inserting the balloon inside the chandelier and inflating it until it is a tight fit or hanging the chandeliers from the balloon/s. Is this even feasible? I am desperate to use these decorations and need a solution. Apologies for my late reply. I somehow overlooked your submission. 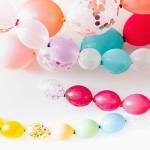 If the tinsel chandeliers weigh about 1 pound, you would need to use at least a 4 feet round balloon to lift them, according to this Qualatex helium chart. 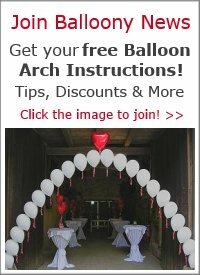 A fully inflated 4 feet balloon would not fit inside the chandelier with 3 feet diameter. So you would have to hang the chandelier from the balloon. The balloon-chandelier pairs will of course float up to the ceiling and may move around a bit, depending on the air flow within the room. You would have to test it if it works. 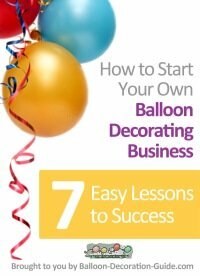 Perhaps even a smaller balloon would be enough to lift the chandelier, depending on their exact weight. Good luck! I would love to see a photo of your decoration. It sounds like a beautiful idea.